A pseudomembrane is a false membrane in the eye that sometimes develops during infections and inflammations. It typically covers the conjunctiva, or the white part of the eyes, and can be very uncomfortable. This membrane layer appears to be real tissue but is usually composed of mucus, fibrin, bacteria or immune system cells. Removing a pseudomembrane may bring comfort and speed healing. The most common cause of pseudomembranes is epidemic keratoconjunctivitis, or EKC Epidemic Keratoconjunctivitis (EKC) is a contagious eye infection, often referred to as viral conjunctivitis. EKC is an inflammation of the cornea and conjunctiva. It is highly contagious and can last as long as a month. EKC occurs mostly in places of close human contact, such as schools, hospitals, and office environments. EKC is caused by a virus called adenovirus. Adenovirus also causes similar conditions such as pharyngoconjunctival fever. Although some research shows that it may be transmitted by air droplets and swimming pools, the most common way it develops is through direct contact with tears or other fluids from infected eyes. Eye doctors are well educated about EKC because, unfortunately, an eye doctor’s office can be one of the most common places to come in contact with adenovirus. The pseudomembranes that grow when someone has EKC almost looks like real tissue. However, they are composed mainly of mucus and fibrin. Removing the pseudomembranes from people who are suffering from EKC usually decrease symptoms and speed healing. Bacterial infections. Common bacteria that can cause pseudomembranes are Corynebacterium diphtheriae, staphylococci, streptococci, H. influenzae, and N.gonorrhoea. Removing pseudomembranes has shown to dramatically reduce symptoms and shorten the normal course of viral conjunctivitis. The doctor will instill some anesthetic eye drops to numb the eye. With a cotton tip applicator or stainless steel forceps, the doctor will remove the pseudomembrane. Afterward, most doctors prescribe a combination antibiotic-steroid combination eye drop to reduce inflammation and prevent infection. No, pseudomembranes are not contagious. 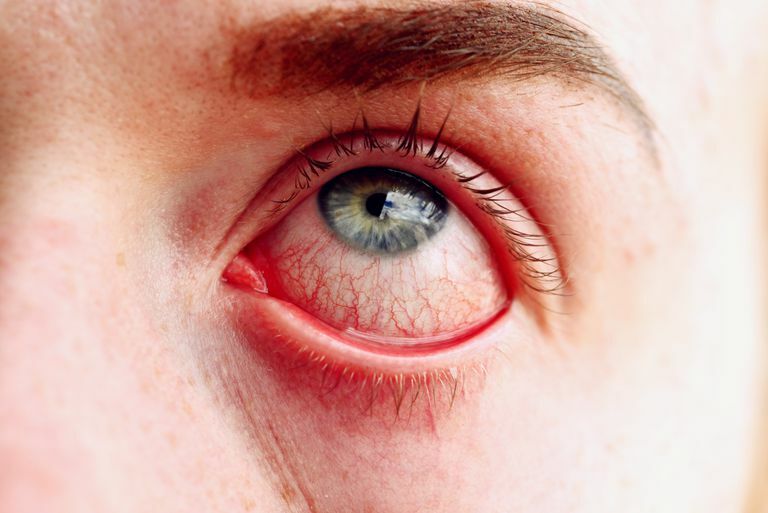 However, the viruses that cause pseudomembranes to develop such as epidemic keratoconjunctivitis or pharyngoconjunctival fever tend to be very contagious. Always wash your hands frequently with warm water and soap. Avoid close personal contact for at least two weeks and to use their own towels, washcloths, and pillows. Also wash bed linens regularly for the next few weeks. Know that symptoms will get worse for the first week before getting better and that it may take a month or longer for the vision to fully recover. Keep all of your appointments with your eye doctor. Certain types of viral conjunctivitis have been known to last for six months. The acute, uncomfortable symptoms will resolve within a few weeks. However, small infiltrates can appear in the cornea, the clear, dome-like structure on the front part of the eye, and cause reduced or blurry vision. Steroids are often prescribed for an extended period of time when infiltrates occur.